Who lives in rainforests? What grows on the forest floor? 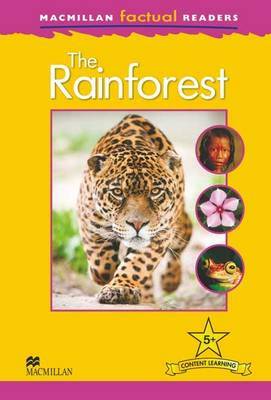 How do rainforests help us to breathe? Read and discover the facts in Macmillan Factual Readers,a six-level series which allows young English language learners to explore a variety of fascinating real-world topics. Each reader has been carefully graded to reinforce the main structures and vocabulary covered in most major language courses. All readers include a glossary with explanations of key vocabulary. Beautifully designed in full colour with striking images, the Macmillan Factual Readers help learners build confidence and fluency in their reading ability as well as enhancing their knowledge of other subjects. Free Teaching Notes, audio and exercises are available to download.